Featuring the work of Christopher Burch, Marya Krogstad, Christopher McNulty, Karrie Hovey, MAP (Peter Foucault and Christopher Treggiari). 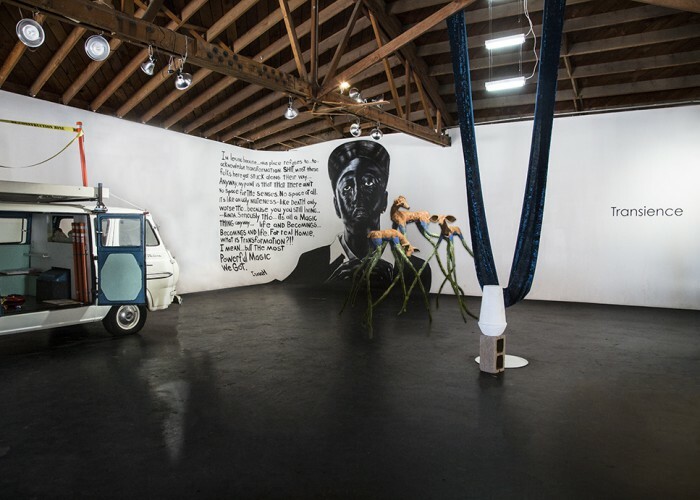 With all of the movement and upheaval in Oakland, the Bay Area and beyond it’s only fitting that OFFSpace located this, its 11th exhibition, in a car showroom in West Oakland—an epicenter of transformation and tumult with a rich cultural and political history. The automobile is, after all, the quintessential American symbol of movement and “freedom”. How then, does an exhibit explore transience, transience being after all an elusive state, a metaphorical place, a terrain fertile with yet unnamed trajectories, possibilities and ideas?